BariteWorld is a major manufacturer and distributor of cosmetic ingredients and cosmetic chemicals used in the production of personal care, cosmeceutical, toiletry and fragrance products. Our products include a wide variety of cosmetic preservatives and antioxidants (including vitamins), antimicrobials, solvents, color additives, pH adjusters and other cosmetic ingredients. 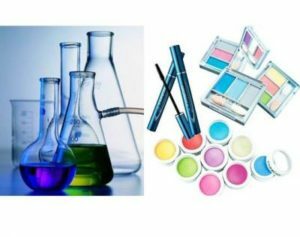 As a bulk cosmetic chemical manufacturer, BariteWorld maintains rigid quality standards for all the cosmetic ingredients and cosmetic chemicals.